Spice up your life with a Budapest getaway! Exciting downtown flat with a youthful atmosphere. With its good layout, this airy and sunny apartment on the second floor is the ideal place for you to recharge after your strolling. 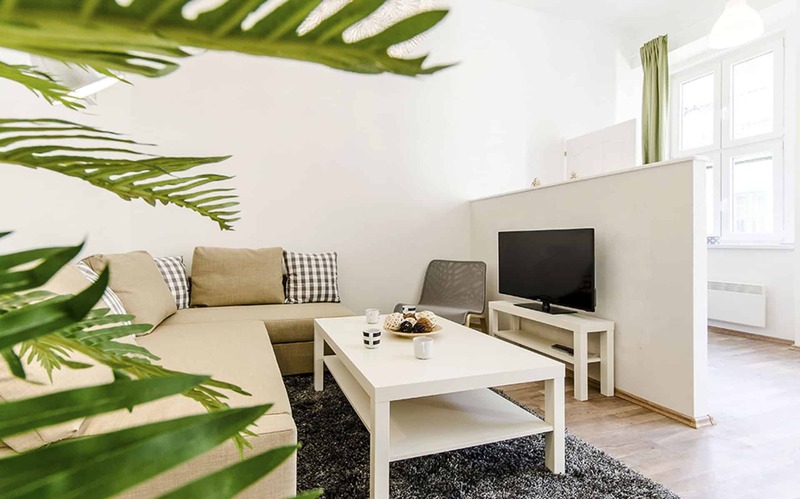 The double bed in the separate bedroom and the pull-out couch in the living room make it possible that four people can rest in the flat comfortably. Curtains up! Welcome to the neighborhood of theaters: the Operetta, Thalia and Radnóti Theaters are just next to the flat! Not to mention the best restaurants, clubs, bars and ruin pubs. Near or far? No problem at all, just take the Continent’s oldest underground and you can reach any part of the city. Come and enjoy!